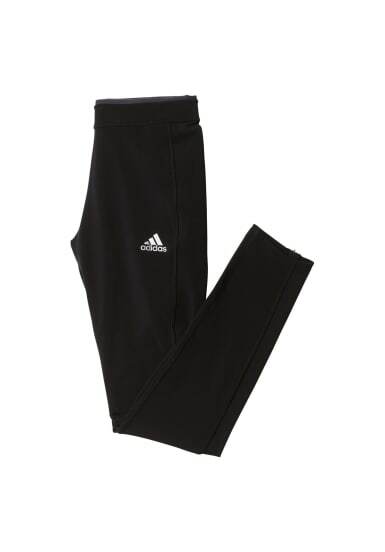 Stay warm without adding bulk in these men's running tights. The tights block out the cold with hollow-core insulated fibres that trap in your body heat while keeping you dry and comfortable. A stretchy fit works alone or as a layer under shorts, and ankle zips make them easy to pull on and off over shoes. 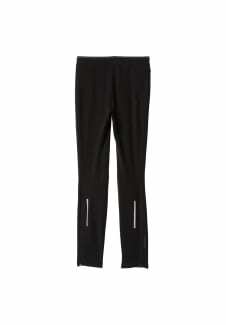 They feature a hidden side zip pocket to hold small essentials and are finished with reflective details. 70 cm inseam (size 50) climaheat™ insulation uses hollow-core fibres inspired by natural fur to trap more heat and dry faster Hidden side zip pocket; Drawcord on elastic waist; Ankle zips Reflective details Fitted fit 82% polyester / 18% elastane fleece Delicate machine wash only at no more than 30°,don't tumble dry and don't iron!